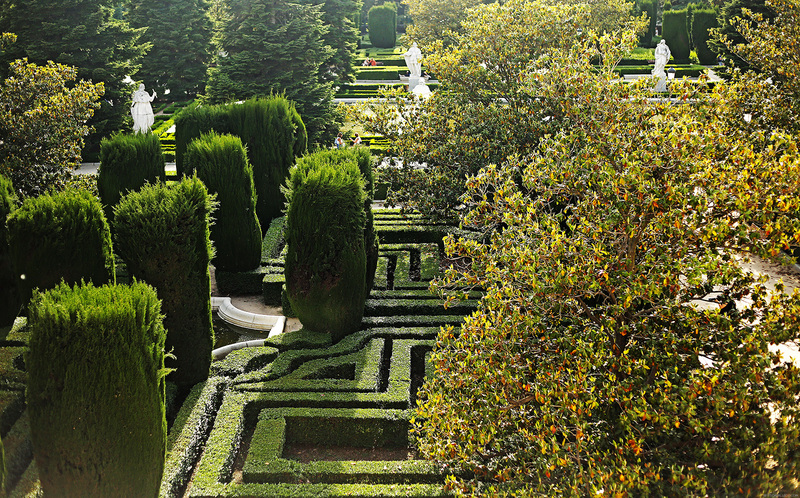 You’ve already seen plenty of Parque Del Buen Retiro and Palacio Real, but those are just some of Madrid’s famous tourist spots. Here are some more of the beautiful places I visited in the city. Compared to Barcelona, Madrid is a little bit more urban–at least for me. It feels more like a bustling city, but still with that trademark European architecture I can’t help but love. 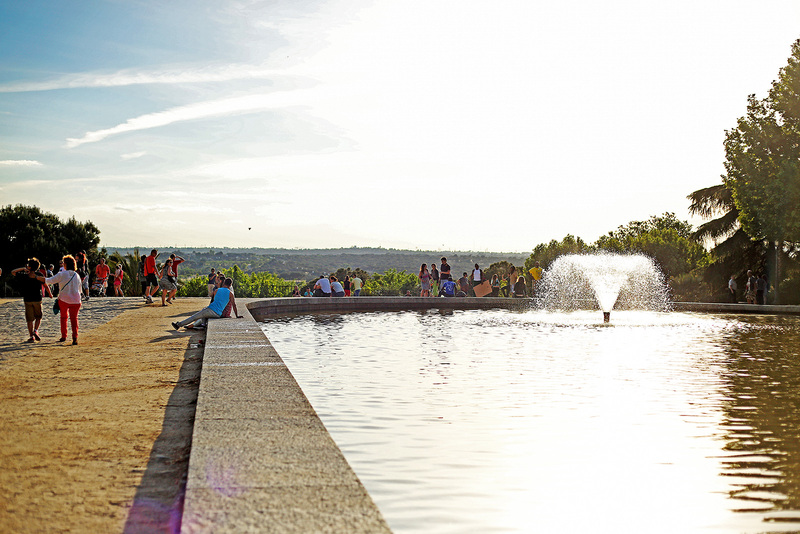 This beautiful view of the city can be seen from Temple of Debod, which is located just a few kilometers away from Palacio Real. 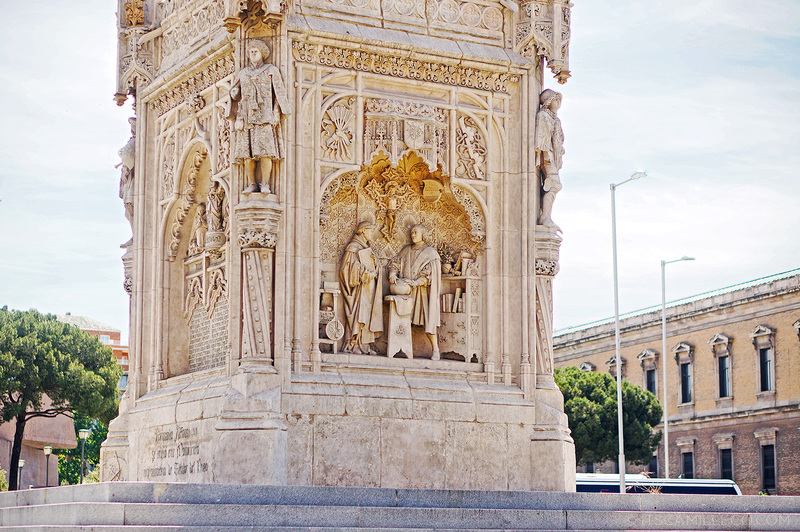 This is Plaza De España, also located just a few steps away from Palacio Real. Actually, most of Madrid’s points of interest are near each other so it’s easy to walk from one place to another. I felt like I was transported to a different time! 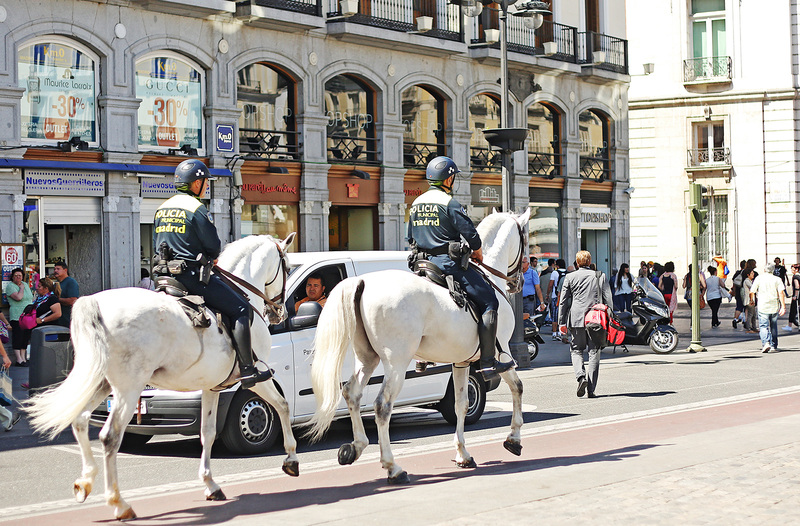 Our protectors are on horses! White horses, even! Taylor Swift approves. I doubt anyone who’s been to Madrid would miss this. 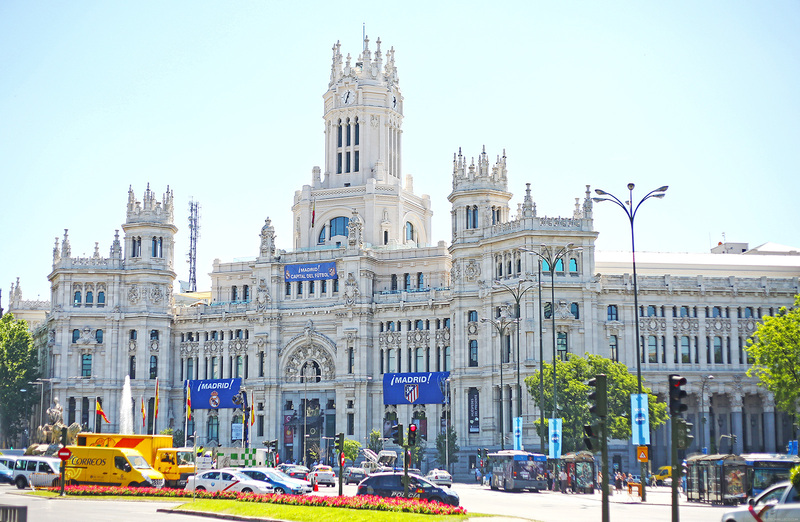 Plaza De Cibeles is located in the heart of it all with its iconic fountain and Cibeles Palace or the Palace of Communication. 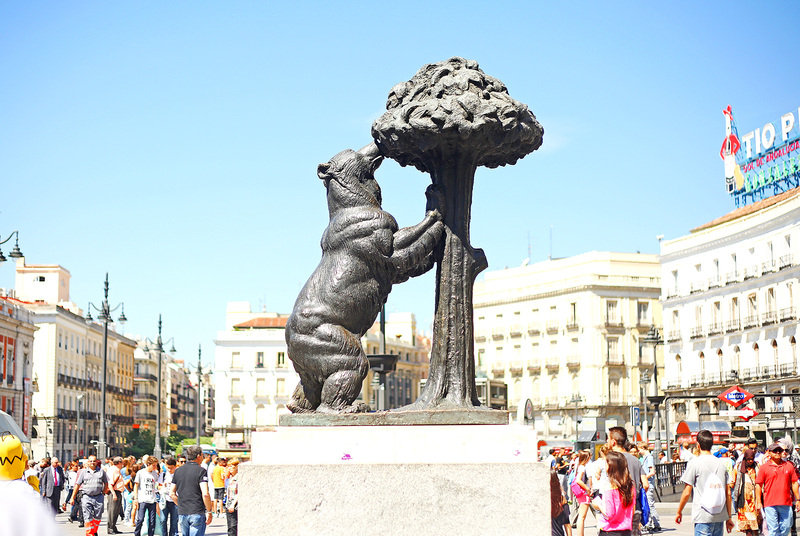 This is the most famous symbol of Madrid called “El Oso y El Madroño” located at Plaza Puerta Del Sol. 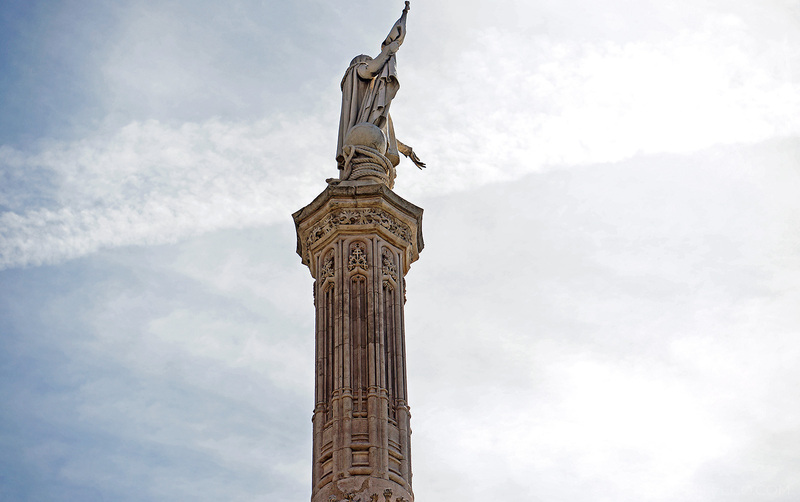 I didn’t really know the meaning behind this monument and why it became Madrid’s symbol but a quick Google search explained it all. 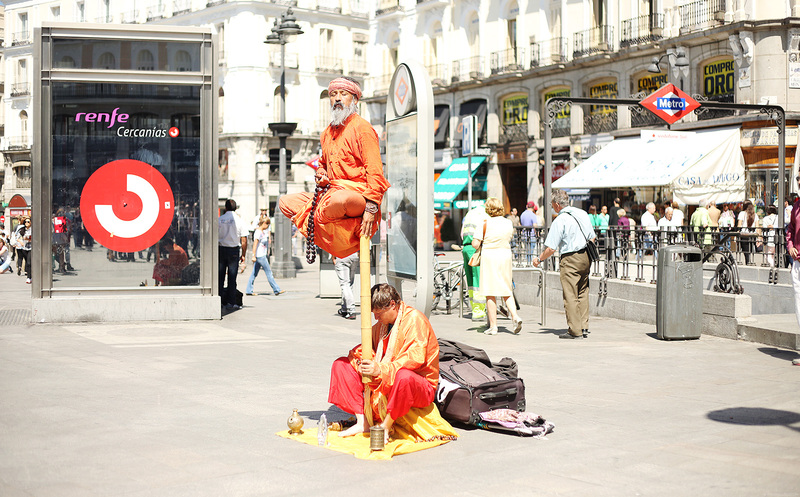 Plaza Puerta Del Sol is one of the busiest squares in Madrid because it leads to so many important sights like Plaza Mayor, Gran Via and Plaza De Cibeles. And so, like any other busy square, you know you’re bound to see some interesting things. I swear I was staring at these men for a good 5 minutes. I just had to check if there’s a plank somewhere there. Clearly, Bart and Homer Simpson were checking as well. 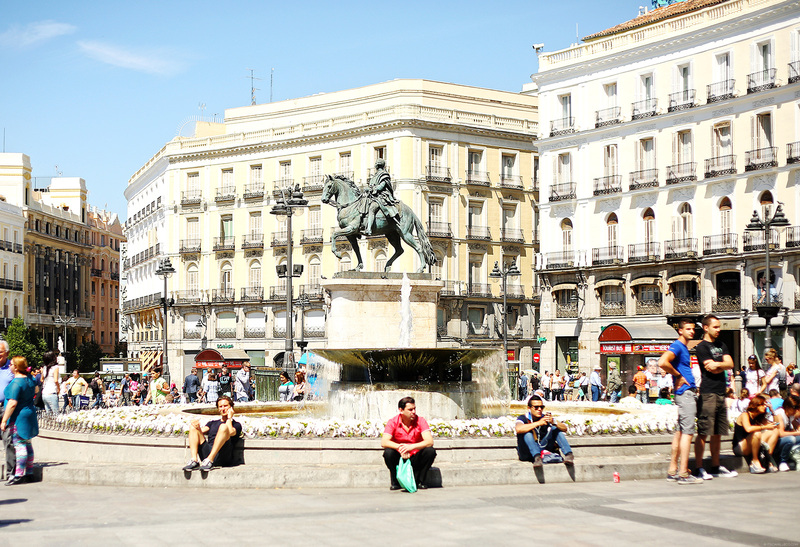 Also located at Plaza Puerta Del Sol is the statue of King Carlos III. 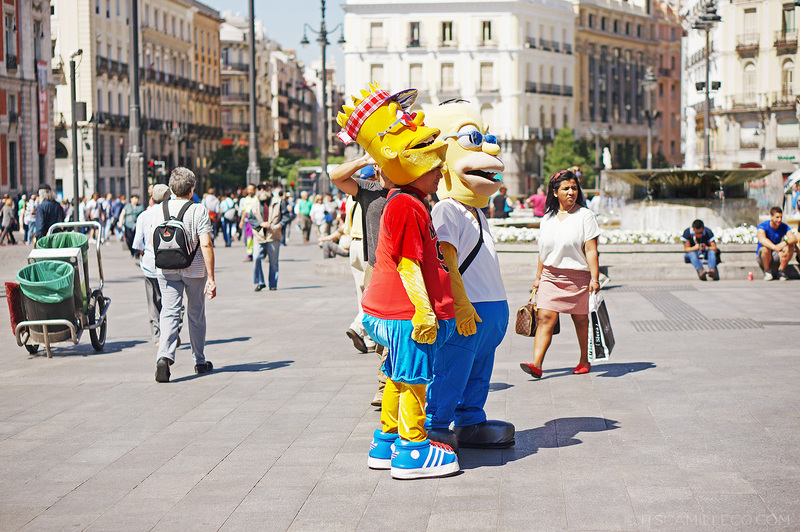 I don’t know what was with this day but there were so many mascots at Puerta Del Sol. Minnie Mouse says hi! 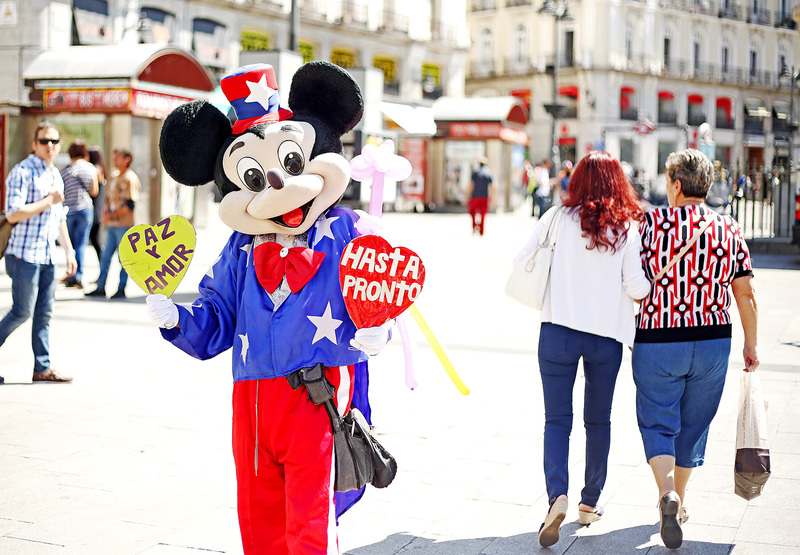 Mickey, on the other hand, says “peace and love” and “see you soon”. 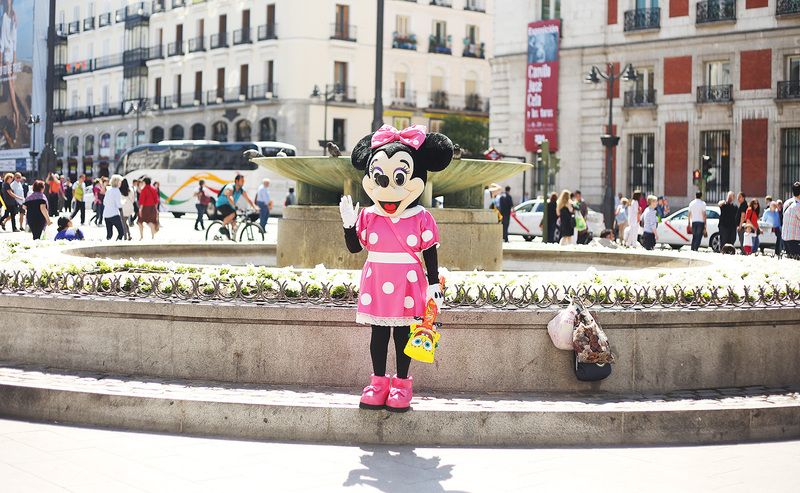 Another Minnie Mouse at Puerta Del Sol but she’s not with Mickey! What is this treachery?! 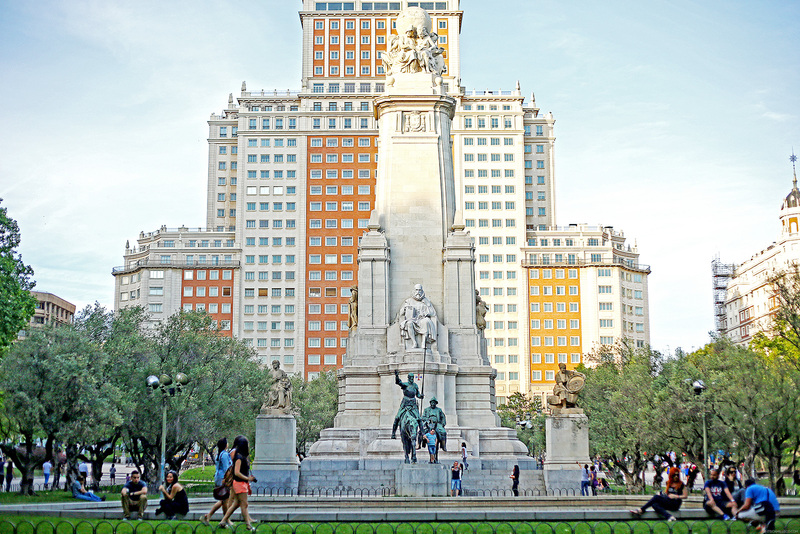 This is Madrid’s Arc De Triomphe or Puerta De Alcala. 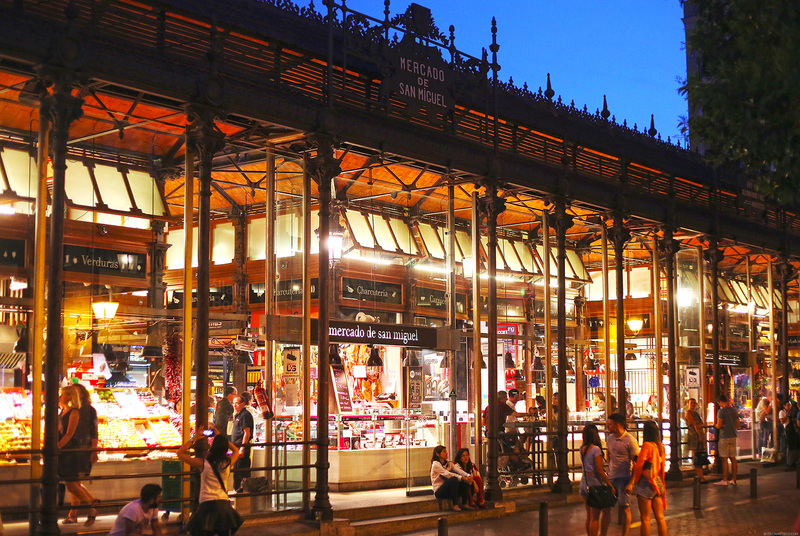 It’s really near Parque Del Buen Retiro and has quite the history. 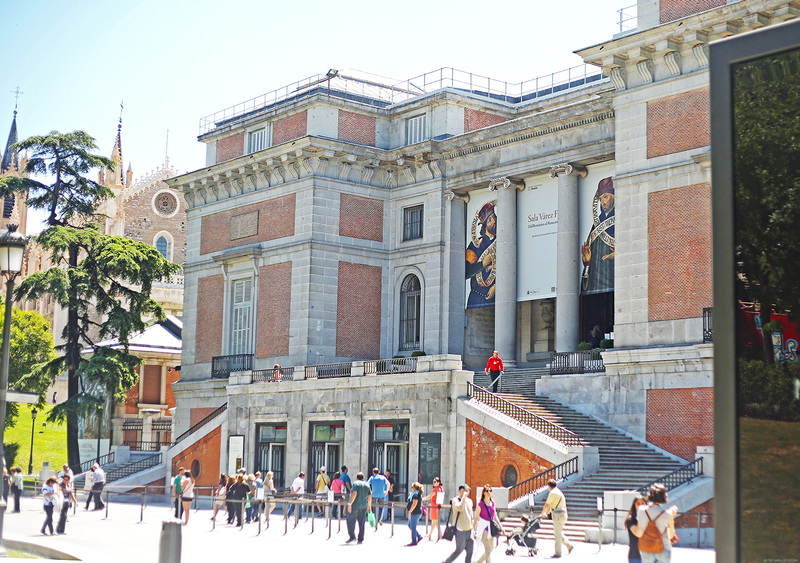 I don’t know why but for some reason, out of all the places I visited in Madrid as a student last 2007, Museo Del Prado is the one I remember the most. 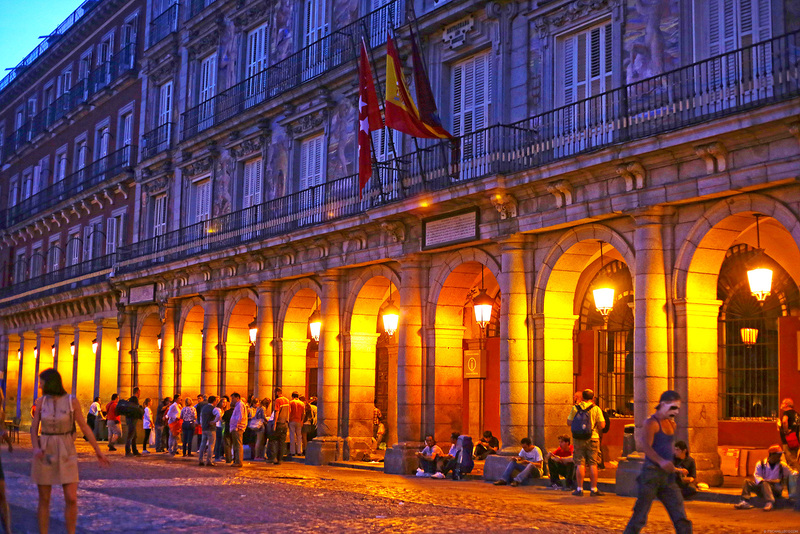 It’s Spain’s main national art museum and has a wide collection of Francisco De Goya’s paintings. I guess I’m artsy after all. This is Iglesia De San Jeronimo El Real, a medieval church built in 1503. 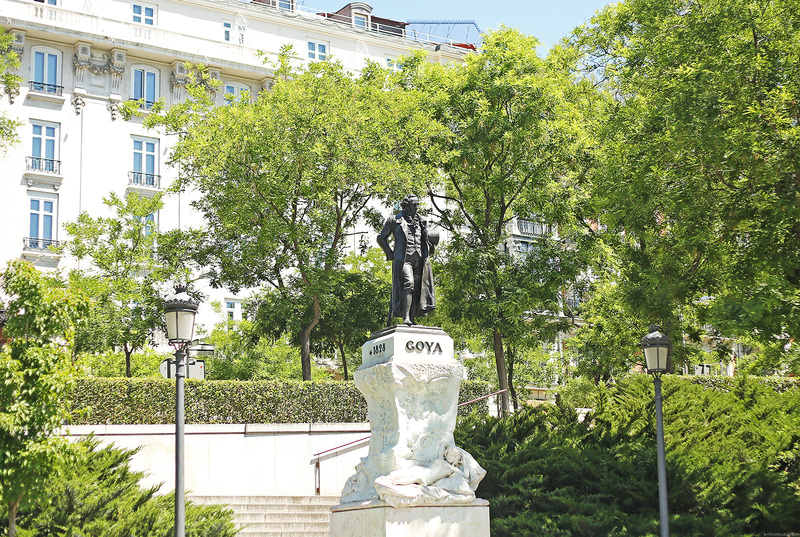 It’s located right behind Prado Museum. 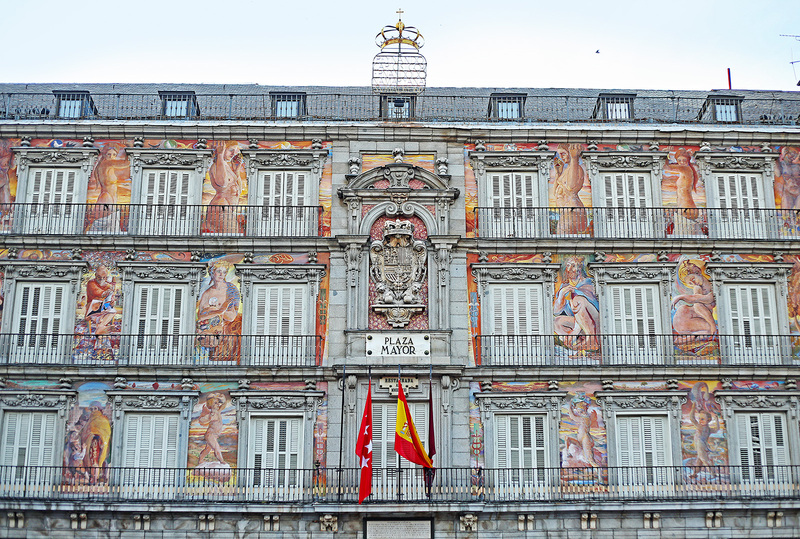 This is the painted facade of one of the residential buildings in Plaza Mayor. 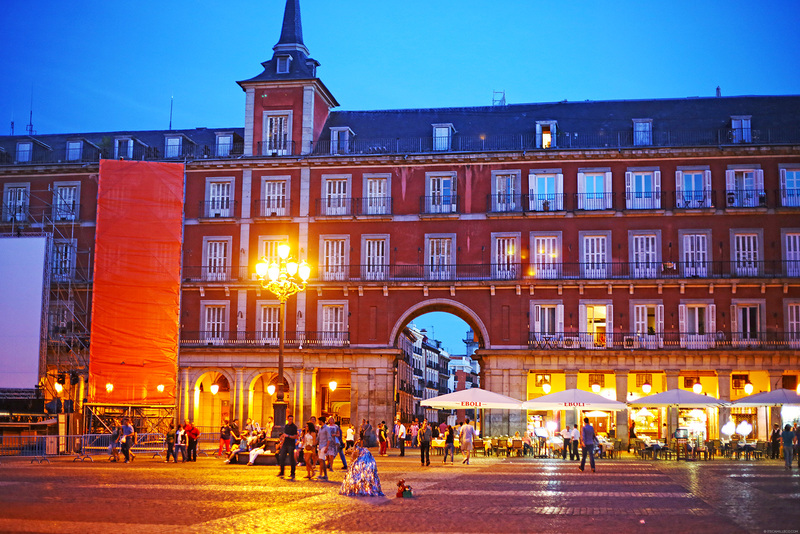 Plaza Mayor is one of Madrid’s most visited squares. It has been used for various purposes throughout the years like markets, celebrations, soccer games and even public executions. Imagine living here and witnessing all these right from your balcony. 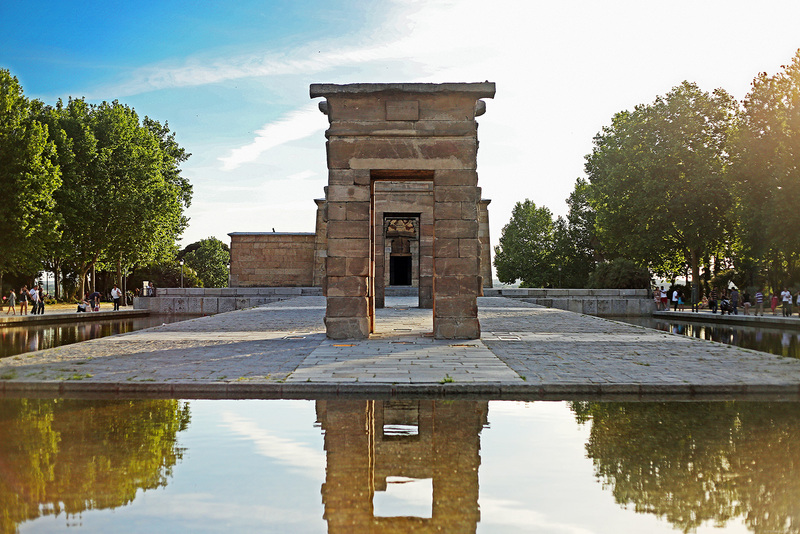 This ancient Egyptian temple called the Temple of Debod was donated by the Egyptian government to Madrid in 1968. 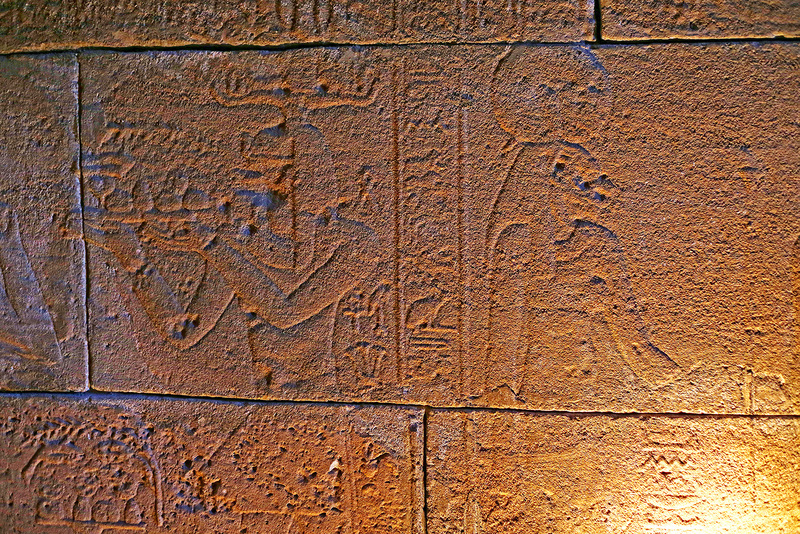 It was originally built in Southern Egypt in the 2nd Century BC. 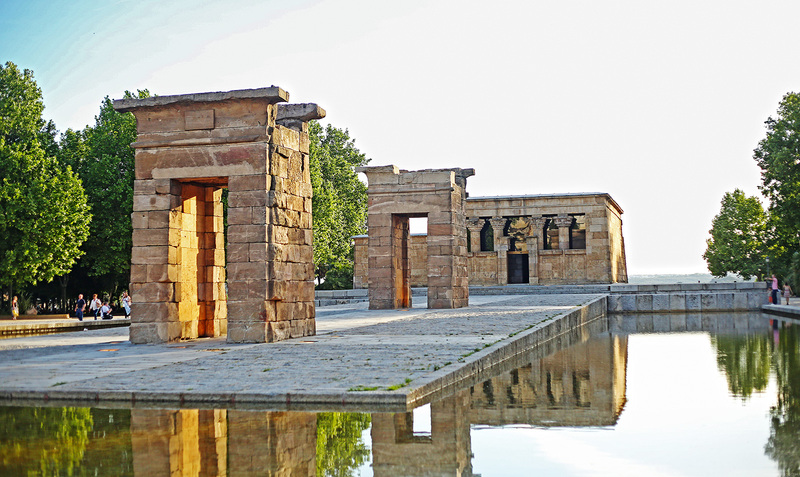 But because of the construction of the Great Dam of Aswan, UNESCO made an international call to save the temple from the possibility of destruction and damage. 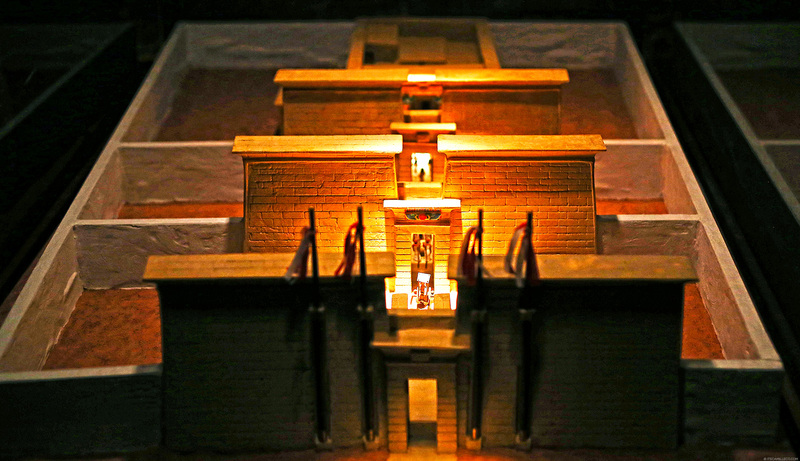 This is how the temple looked like during ancient times. And this is what’s left of it. Here’s another view of Plaza De Colón which you saw in my previous post. If you’re a shopaholic, take note of this street. This is the famous Gran Via where all your favorite brands are. 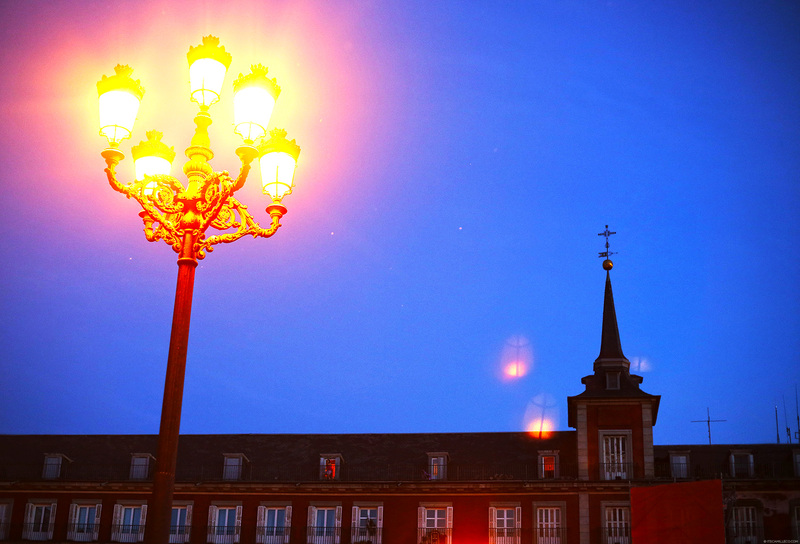 Plaza Mayor at night looks gorgeous with all its entranceways and lights on. There are plenty of restaurants here so it’s nice to dine here at night. 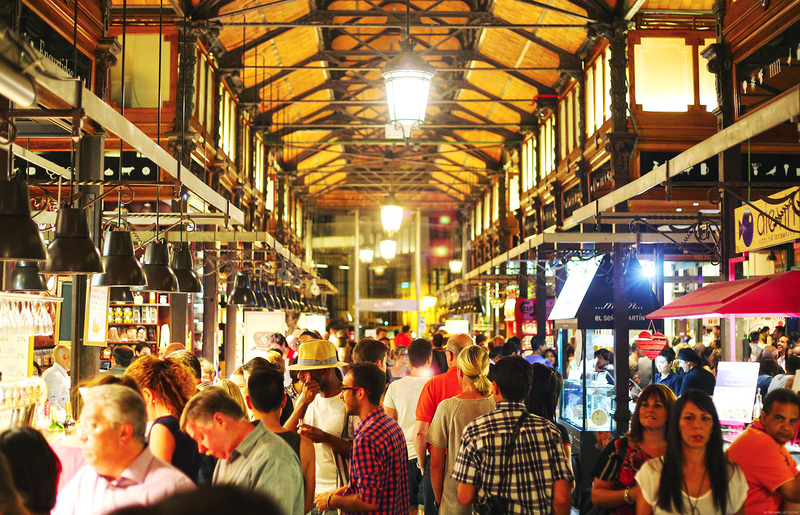 Just a few steps away from Plaza Mayor is the Mercado San Miguel. Food here is amazing!!! 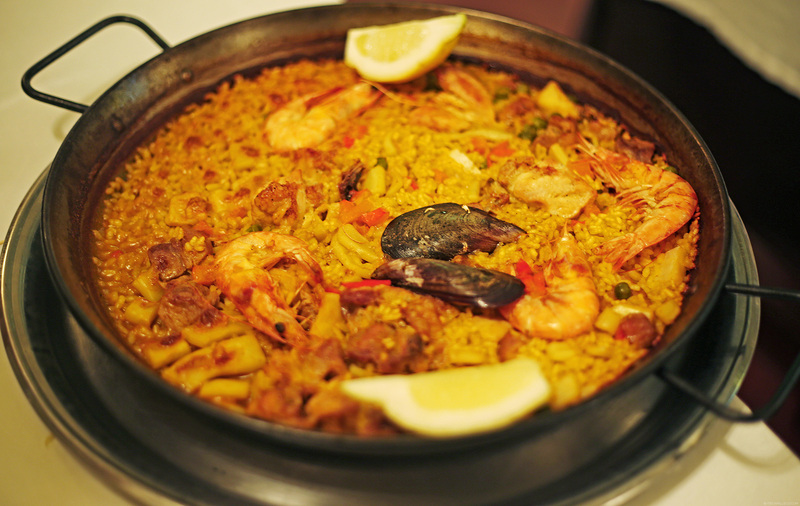 There’s a wide selection of dishes like tapas, paella and more at super affordable prizes. I could’ve stayed here forever! 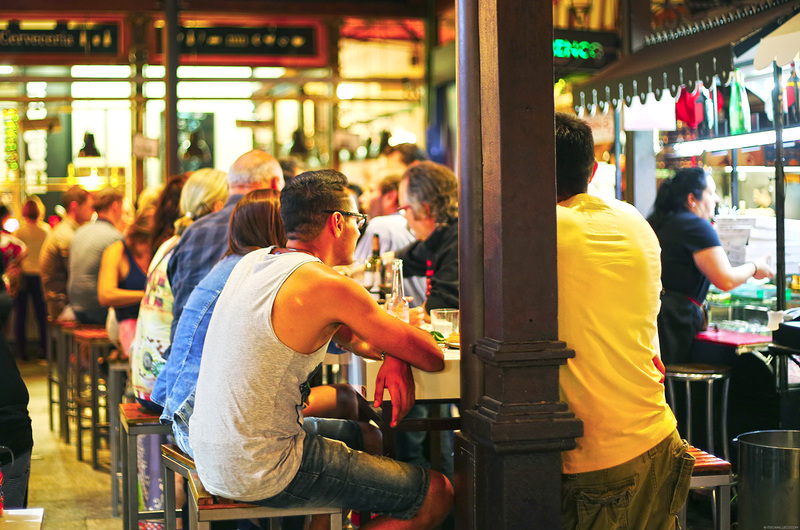 A lot of people come here to drink too. This is my dad’s only request, to bring him some Jamon Iberico Y Bellota home. It’s the best kind of ham because it comes from free range pigs that graze under Encina oak trees and eat only acorns. As a result, the pigs’ fat has a rich, creamy texture that melts in your mouth. It’s so good! 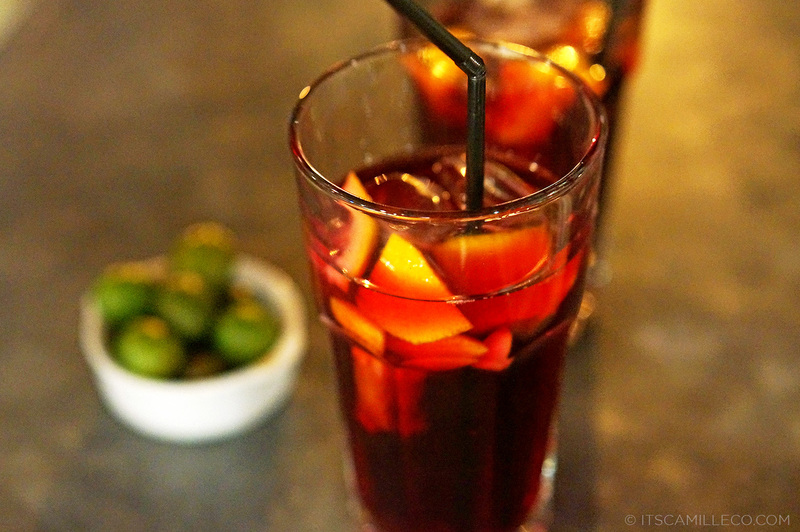 Just like the Jamon Iberico, no trip to Spain is complete without a glass of sangria or two… or three. It’s the best way to end one’s Spanish escapade. I love how you explained all the places you went to instead of just showing us pictures! Thanks for this post! Seriously thinking of going to Spain and I needed help in itinerary planning. Thanks Nadine! :) That’s the goal! Hope this helps! OMG I love these photos! So lively and vivid! When I went there the weather was not so good but I really enjoyed it anyway. Spanish food is just so amazing, and the city is beautiful even when it’s raining. 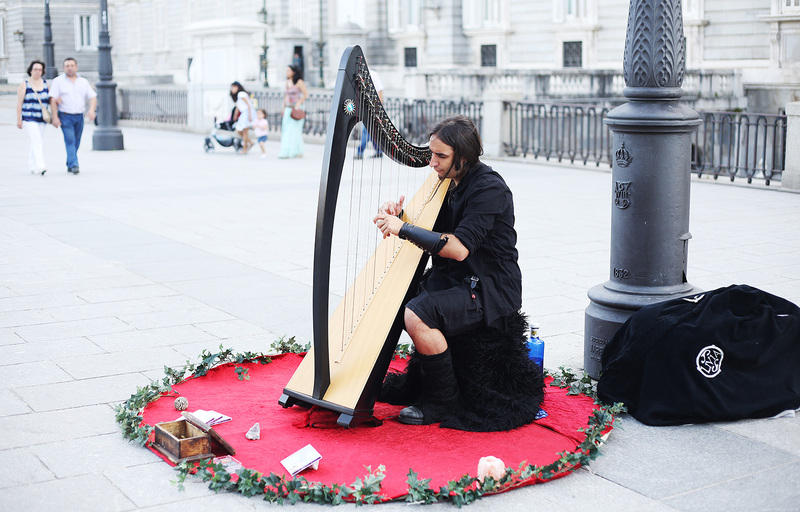 I also went on a free tour with some guys I met on Puerta del Sol – I believe the company was called MADride – to enlighten on Madrid history a little bit, it was so nice! it’s a picturesque destination! :) Thanks Chantel! 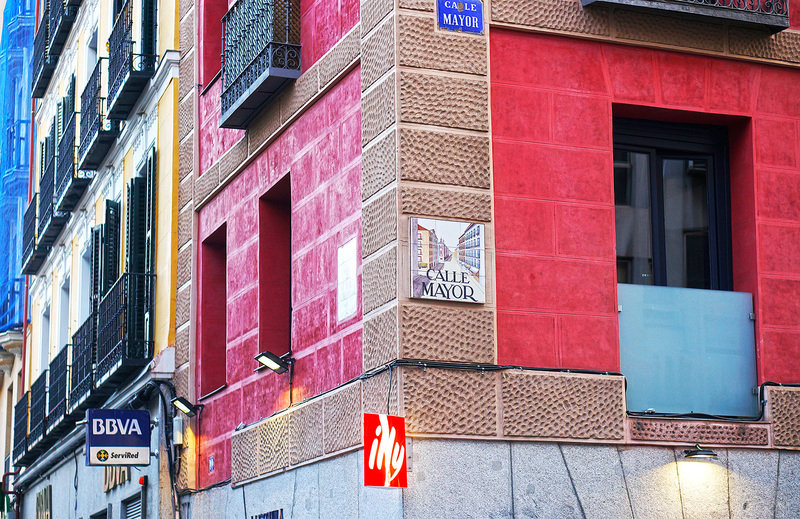 Hi ate camille, could you pretty please share where you stayed while in Madrid (and Barcelona)? Like what hotels/area to stay in are good? Many thanks! 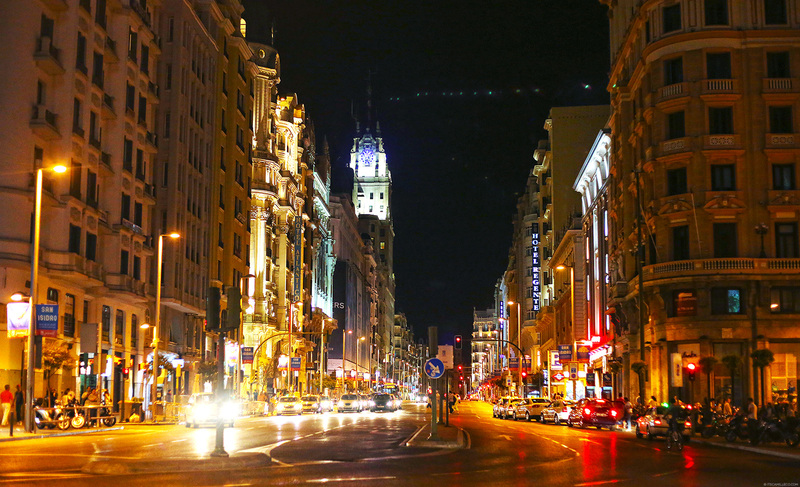 I haven’t been to Madrid and through your pictures, it looks wonderful! 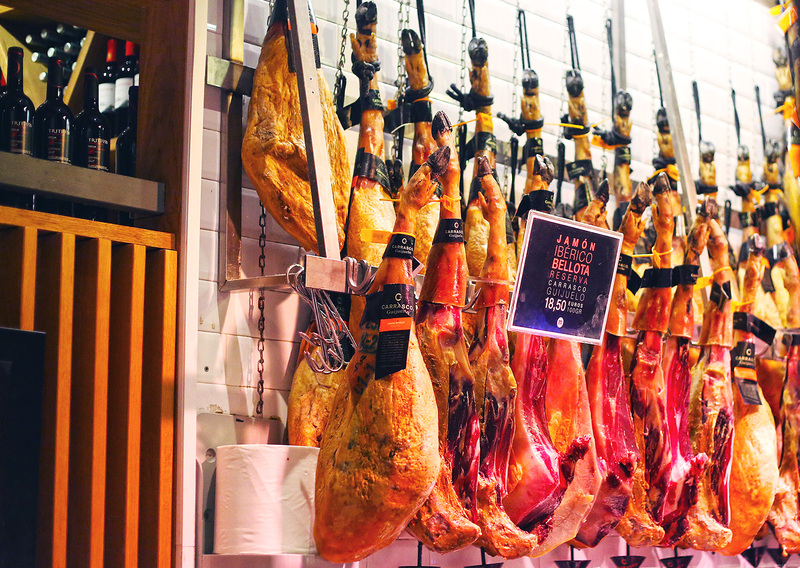 I can remember so well when I was in Barcelona, I had ham every single day and they’re so good and so irresistible! LOL! Great photos. Ughhh magic og the 5D mark III. What lens do you use? Took a break from studying and now checking on your blog! Hay busy weekends cos school :(((( I’M STUDYING HISTORY RIGHT NOW! Lol nyc timing. THESE IS WOW!!!! I CANNOT……. askirksmams. Beautiful!!! Soo beautiful! How nice! Big thank you to your travel diary, I can really feel like I’m also travelling haha! :) You take photos so well, did you study photography? 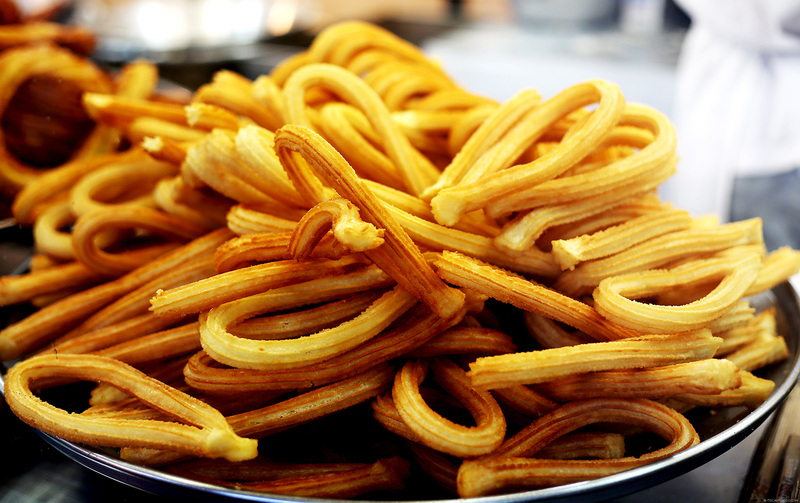 :)) I want to taste those ham.Btw those churros made me crave so badly! I’ve got to go to S&R right now to buy some hihi. Thank you Clariss! No I didn’t :) LOL! Or dulcinea! Oh Madrid you are a beaut! Thanks for sharing, CC! gdujahduaiherf I have no words for your photography! LOVE THIS! How cute! 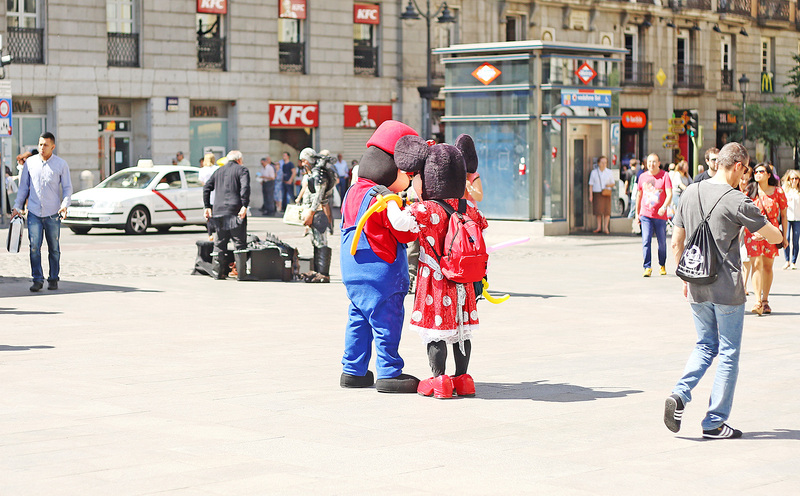 It’s not every day you see Cartoon Characters walking around the city haha. 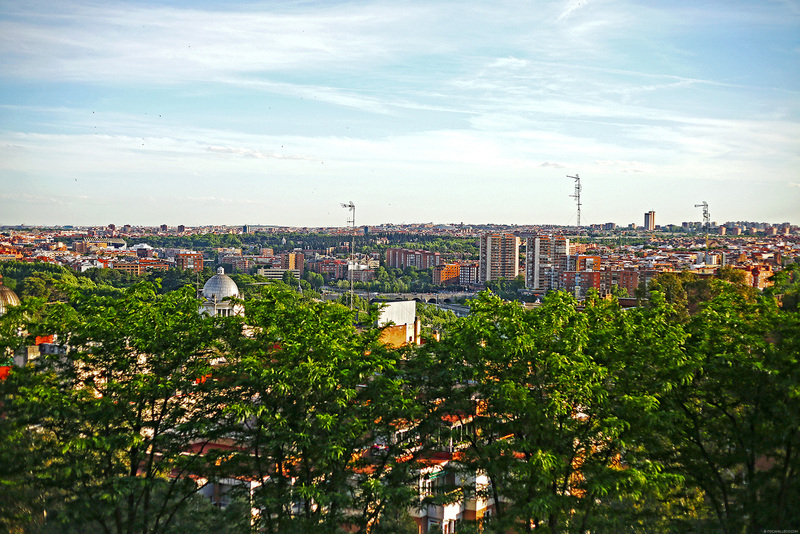 Madrid is as beautiful as Barcelona. I wonder, is it far from Barcelona? 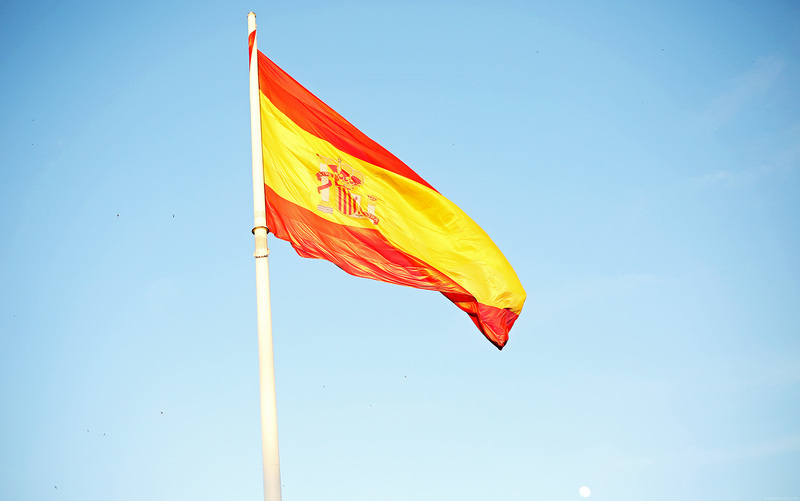 I can’t wait to visit Spain too!! Hi Cams, after reading your blog I felt like I just finished my History class. Haha. Very educational post! :) Thanks for sharing. those monk like men in the streets? are they for real? :o They’re AMAZING! lovely photos btw Miss Camille. My pleasure! :) Good luck with your studies! :) Ace them! LOL! Poor them! I think this has a metal plate as well for the levitating guy, but the pole ends before it hits the sitting guy’s sleeve though so I can’t figure out that part! I stared at those monks for a really long time. How is that possible, wow. Lovely snap shot. Hope you asked them for their secret to elevation without support. Super cute policemen they got there! hahaha!! 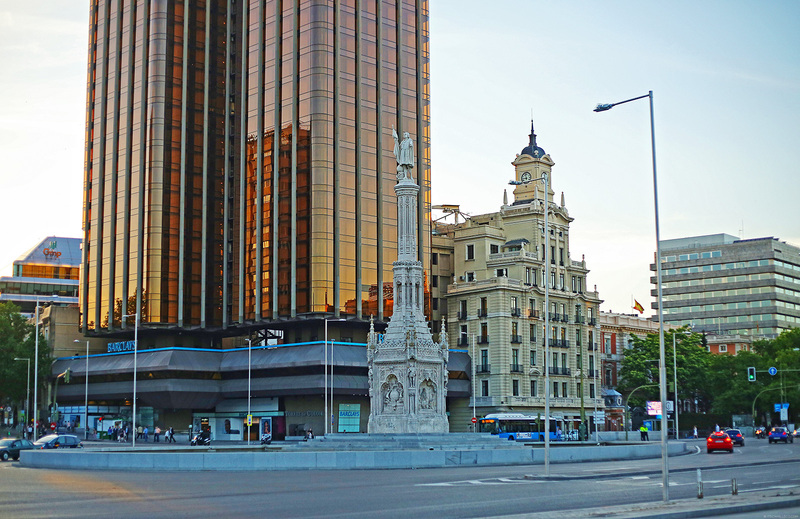 Gran Via was mentioned to me already by my Spanish prof. She’s a fashionista so that explains it. Haha! 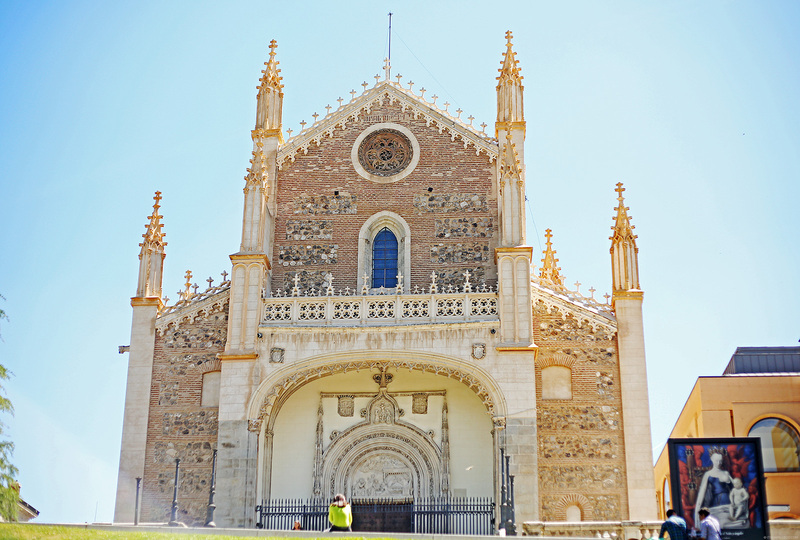 Super nice Spain travel posts Ate Camille!! :) I feel like I’ve been to Spain with you haha! Thank you! My friend fell in love with one actually LOL just kidding. Thanks Arianna! Madrid is such an amazing, wonderful, and wow! European architecture is to die for. Love how they preserve their buildings and other structures. :) and the food, yumyum! Great shots! Camille do you use the same camera for these photos as you do your fashion shots?